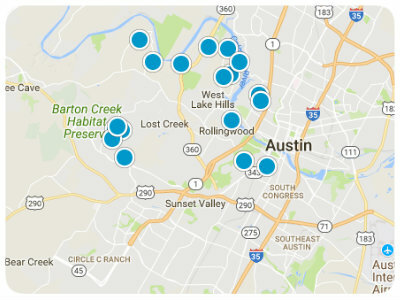 Below are the most recent residential listings to come on the market for sale in South Austin. For prospective homebuyers desiring to get the most bang for their buck, South Austin is a must-consider destination. This eclectic neighborhood is nice, quiet, friendly and filled with amenities including casual and fine dining restaurants, chic boutiques, hip coffee shops, and bars. South Austin is a rapidly growing community known for its charming hippy vibe, vibrant music scene, and shopping along SoCo (South Congress). South Austin epitomizes the Austin slogan, “Keep Austin Weird,” in all the best ways. This diverse area has attracted residents from all around the world, and the 78704 zip code, in particular, is an increasingly popular destination for homebuyers. You will find many liberal, artistically inclined people here, as well as a number of fantastic neighborhoods from which to choose. Homes for sale in South Austin include new construction in master-planned communities, as well as older homes in well-established neighborhoods, and everything in between. Across from Lady Bird Lake and in close proximity to Downtown Austin you’ll find Travis Heights. This spectacular South Austin neighborhood has mature oaks trees on gently rolling hills with homes of varying ages, some built as early as the 1920’s. Because of its location and gorgeous real estate, Travis Heights is the most expensive neighborhood in the 78704 zip code. If you are looking for a hipper, slightly funky neighborhood in South Austin, you should check out Bouldin Creek. Found near South Congress, this neighborhood is comprised of apartments, quaint bungalows, and some new modern McMansions. Homebuyers with children should explore the real estate found in the Barton Hills neighborhood of South Austin. Barton Hills encompasses ranch homes, most originally constructed in the 1960’s, with a few younger and a few older exceptions. This family-friendly community has some picturesque hills and close proximity to the greenbelt, Barton Creek, and Zilker Park. If you are seeking a more affordable South Austin home, you must leave the 78704 zip code and explore the homes found in the 78652, 78745, and 78748 zip codes. Like the rest of South Austin, homes here come in all shapes and sizes and in a broad price range, so whatever you are looking for, you’re certain to find it. If you would like to learn more about homes for sale in South Austin, Texas, please do not hesitate to contact us today.